Get inpressive with this acroyoga move which combines a wheel pose with peacock pose. Grab a kettlebell and a partner and you’re all set for this partner figure-8 squat which really targets the quads and glutes. Boosting circulation and opening your back and shoulders, this partner pose is perfect after a long day. If you think straight-up planks are too easy, we challenge you to try this elevated partner plank with an added knee tuck to further challenge your abs. This beautiful pose requires a ton of strength and also requires you to work with your partner to keep yourself stable. Tricep dips are one of the best exercises for toning your arms. Flex those muscles with this partner move. No wall? No problem. Use your partner for support in this assisted handstand pose. With dumbbells and hand taps, this partner plank exercise is a total arm burner – but we promise you’ll feel it in your core too! Grab some support from a friend with this extended hand to big toe pose. Open up your hips, shoulders and chest with this restorative partner pose. 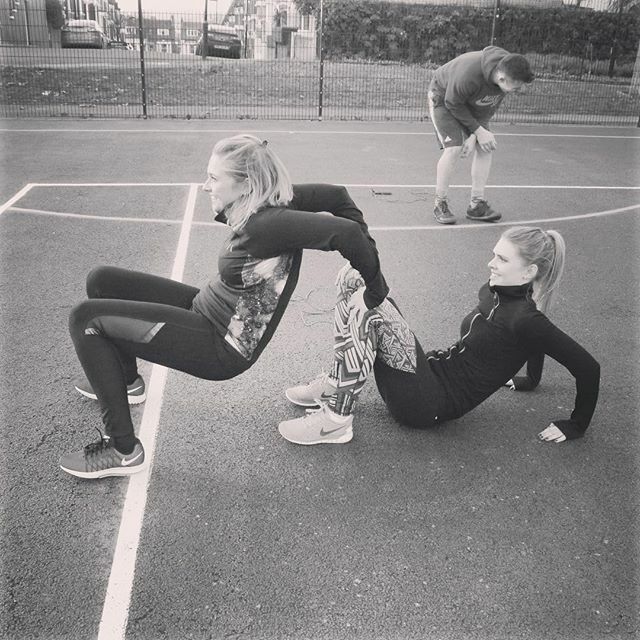 Lunges are better with friends! This partner lunge with a kickback really targets that booty. 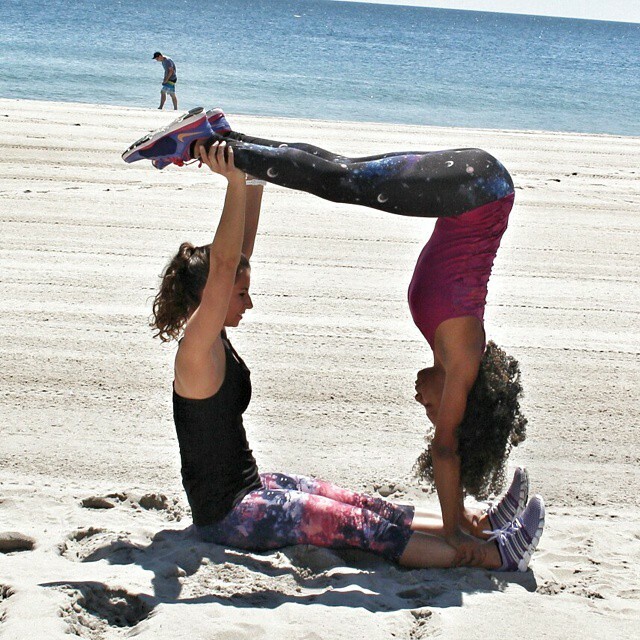 We’re so impressed by the balance, strength and flexibility required to conquer this acroyoga pose. 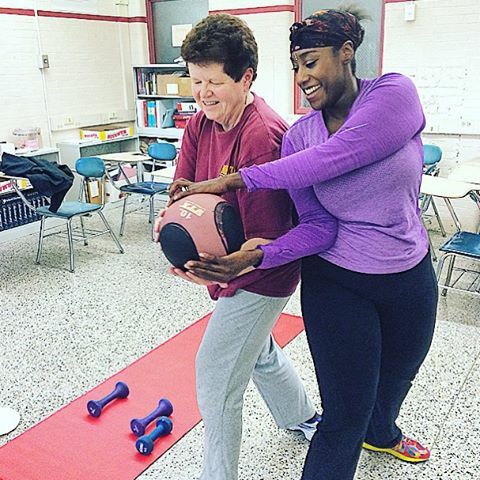 Use a medicine ball or kettlebell to really crank through those obliques as you twist to pass to your partner. Detoxify, relax and restore your spine with you partner with this spinal twist. While one partner is planking it out, the other will be completing resisted hamstring curls in this innovate partner exercise. Couples who triangle together, stay together! This is a great total body stretch that also stimulates digestion and relieves stress. Get inverted with this challenging headstand partner pose. 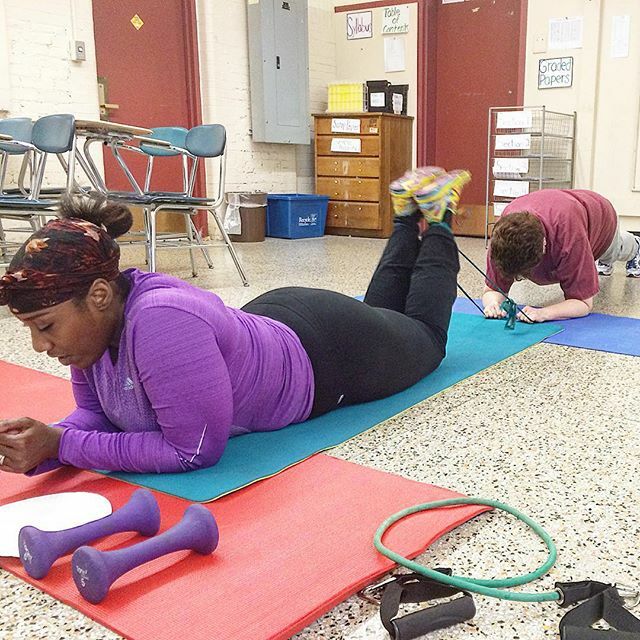 Combine a forward fold with child’s pose for a great stretch that especially targets the back. Strengthen those quads by completing a wall squat with your partner. You’ll also be activating your core to help maintain that balance. Target the arms and the chest with this partner move. 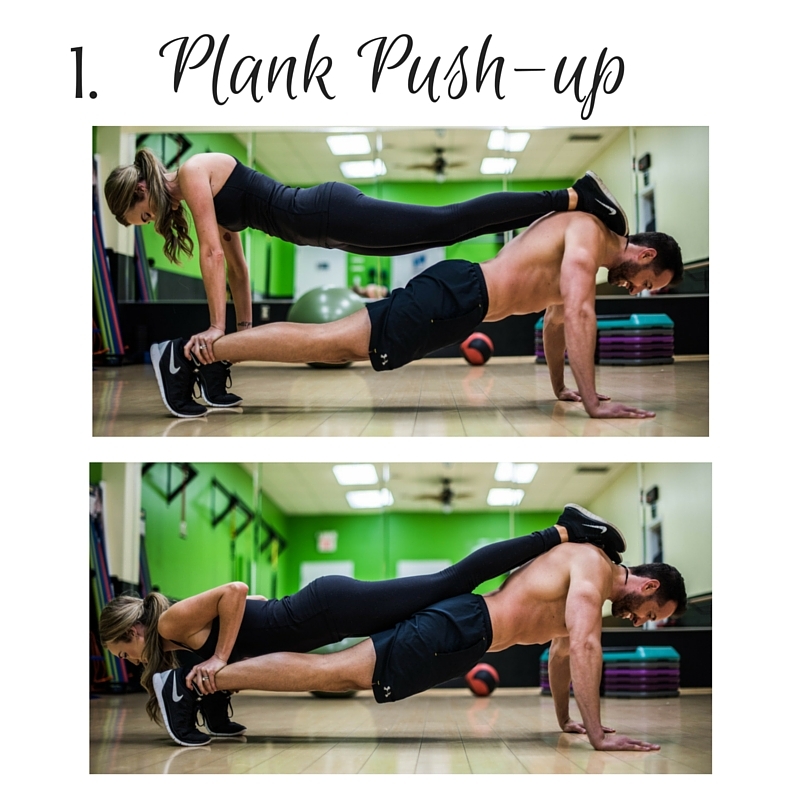 While one partner performs a push up, the other will be squeezing their core to maintain the plank position. 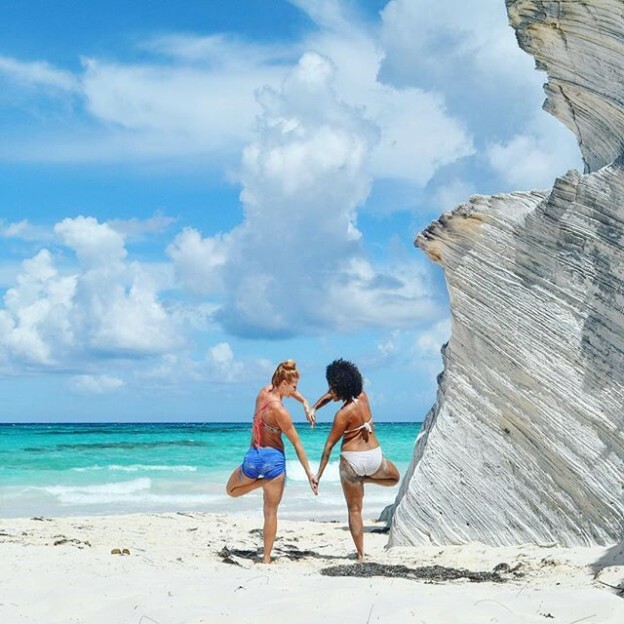 Take flight with this acroyoga post which is a great way to get started and learn to balance with your partner. Ab box time! This essential partner move is great for working the entire core. Kick things up a notch and get mobile by having the base partner perform a sit-up as the “flyer” performs a pike and then reversing the movement. 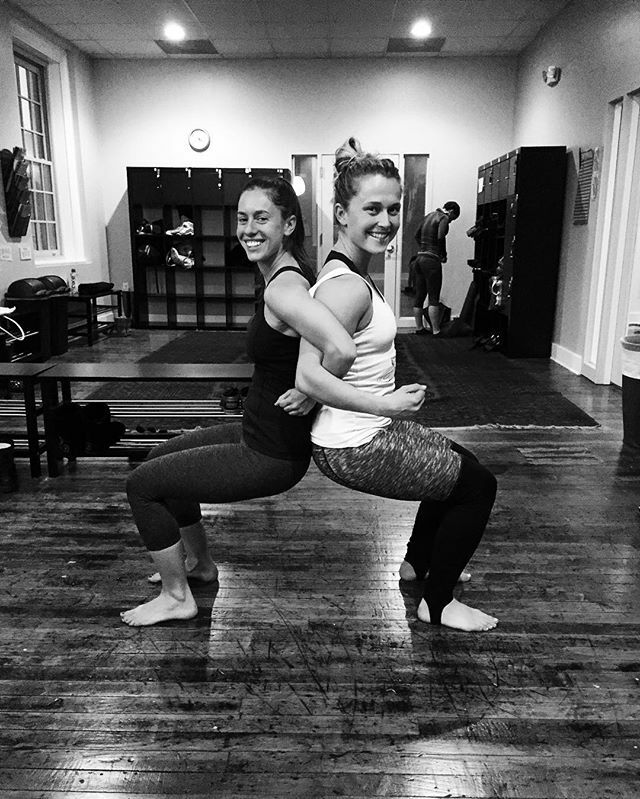 This partner boat pose changes classic boat pose up a notch by providing a great hamstring stretch as well.